Standing up for Suicide Prevention and the fight against Bullying. 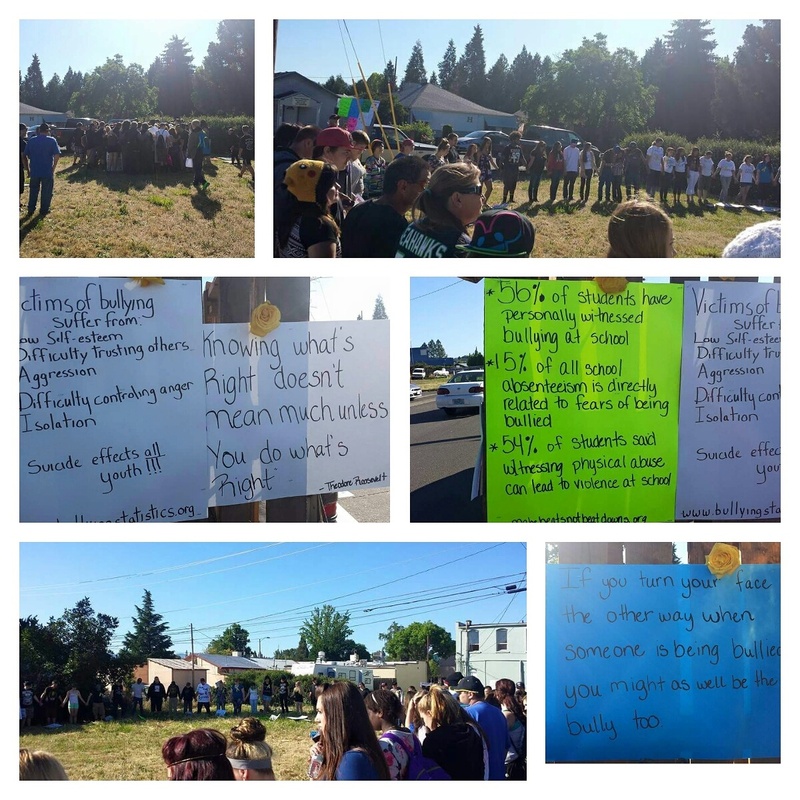 An Eagle Point school standing together and supporting both the family who lost a daughter, and the right to speech, right to grieve a loss of a classmate, the right to fight against BULLYING and raise awareness for SUICIDE PREVENTION. The kind of Christian I want to be. No, you already have a mom. Six friends we all have.